Energy conservation saves money in all industries, especially in pharmaceutical manufacturing. 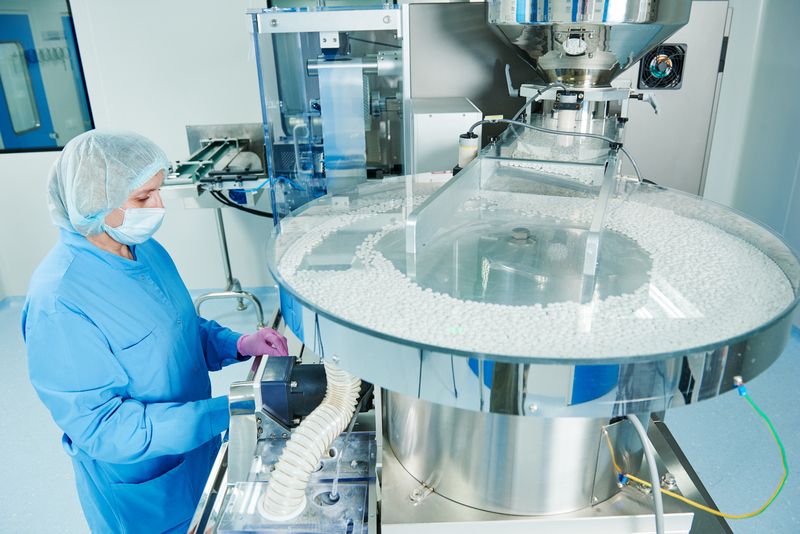 In an industry where temperature control is important, pharmaceutical manufacturing has unique needs and means of saving energy. Saving energy will lower costs and make you more competitive in the field. Energy use in transportation is higher than for other industries. Unlike shipping metal, pharmaceuticals require refrigerated transport units. How often the doors open on these vehicles affect the internal temperature and can cause the cooling system to run more often. Consider shipping only full vehicles at a time that go directly to their final destinations. This reduces the number of times the doors open, and a full truck, like a full freezer, keeps cold more efficiently. The fuel used by your transport is also an important way to conserve energy. According to the Department of Energy, fuel costs for the pharmaceutical industry were over $200 million a year in 2002, and this number is likely higher today as it was on an upward trajectory from 1987 to the early 2000s. Alternative fuel sources and more fuel-efficient vehicles can cut these costs. The HVAC system, including ventilation, accounts for 65 percent of the energy used by a pharmaceutical manufacturing facility. Consider other ways of cooling your facility. For instance, ice-based storage is used as an alternative to standard refrigeration at several pharmaceutical facilities. Electric bills for a pair of GAR Laboratories buildings dropped from $571 to $117 a month with ice-based storage. Water freezes during the cool of the night, and the chill cools off the building during the day. This is one way to cut your HVAC costs and conserve energy. Walk-in coolers are considered separate from the HVAC system. You may want to think about replacing your existing coolers with something more energy efficient and requiring less maintenance. Once used only in restaurants, glycol chillers are becoming more popular in other applications such as the pharmaceutical industry. Compared to older chiller models, glycol chillers have fewer parts, which means they are less likely to break down. A portable glycol chiller offers more flexibility and is more energy efficient than older models. These can be customized to your plant's needs. Traditional cooling towers can use up to 1.5 million gallons of water annually. Rather than wasting so much water, consider a closed-loop system. With these systems, cooling water use drops by 98 percent. This system also never disposes of used water into the ground, where it could potentially contaminate groundwater. It also more effectively maintains the water's temperature. In pharmaceutical manufacturing plants in the United States, pumping accounts for a quarter of the energy used, and switching to more efficient equipment could reduce energy by 20 percent. Over the lifetime of the pump, the energy costs will add up to 95 percent of the ownership cost, compared to 2.5 percent for the purchase price and the same amount for maintenance. This means selecting the most energy-efficient pumping equipment available, even if it's more expensive, will pay off over the life of the pump. Changing the equipment in your facility is only part of the puzzle. You need to train your employees to adopt energy-saving habits. Teach them to turn off vent hoods and lights when not needed. You can automate these, too, with motion detecting lights and heating and cooling systems. Increase the air conditioner temperature in the summer and lower the heat in the winter. Make even larger changes in these settings when the facility is unoccupied. Merck used this strategy at its Rahway, New Jersey plant. There, it cut carbon emissions by 1,700 tons a year and saved 30,000 MBtus of energy annually. Cutting energy costs requires a few investments of time and money initially, but your energy cost savings will make up for that investment down the road. Additionally, your facility will become more efficient, which can raise profits effortlessly. Conserving energy helps the environment and your company. Start on conservation now to see the benefits of saving energy in your facility.